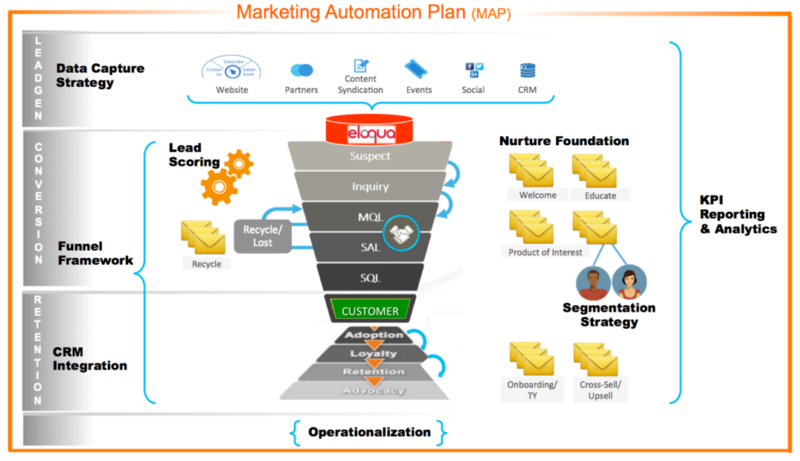 Our Strategic Services help you excel at the most critical aspects of marketing automation. Whether you need a place to start or have a plan in place, but still struggle with performance in a specific area, 4Thought Marketing can help you reach your strategic objectives and marketing automation goals. No matter the size of your business or team, we can craft a comprehensive solution to enable you to prove value and improve lead quality. Our eight strategic services are organized to address common needs and pain points. In addition to planning, implementation and ongoing support, we include ‘Operationalization’ in all of our strategic services. This involves training your sales and marketing team members on processes, helping to determine roles and responsibilities, and providing documentation and presentations tailored to your organization’s adoption style.